A neutral oval center is outlined with an ornamental medley of flowers and fauna including pink roses and yellow daffodils. The remaining ground is a highly saturated purple surrounded by a simple neutral line and a wider chocolate border. 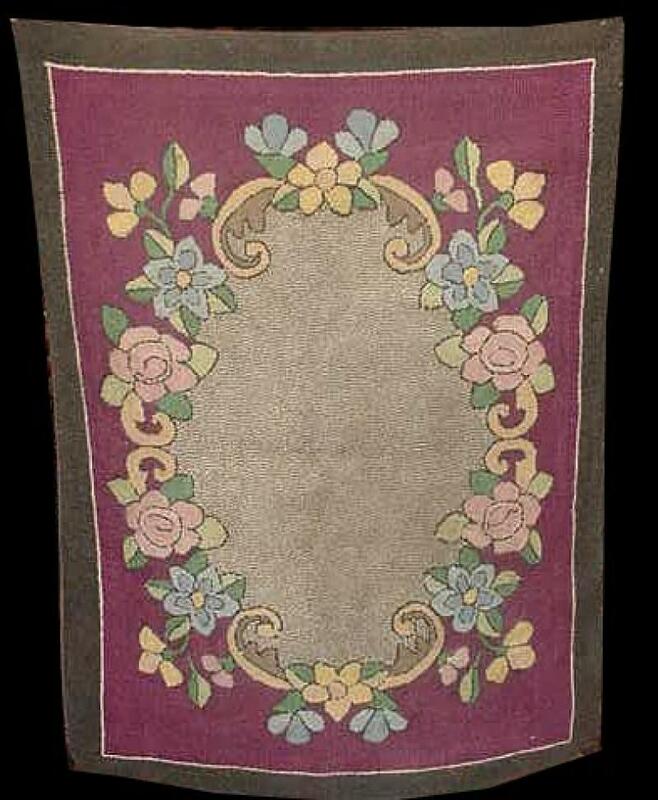 This rug is from Pennsylvania.